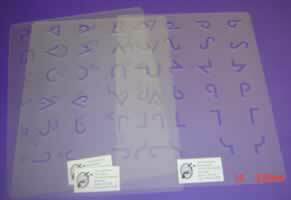 These are tracing stencils with the symbols on it. There are 3 in a set and each contains all the symbols. 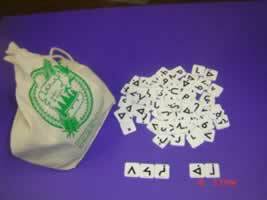 These are about 420 plastic chips that make up the syllabic symbols and vowels that the student can use to make words or phrases.